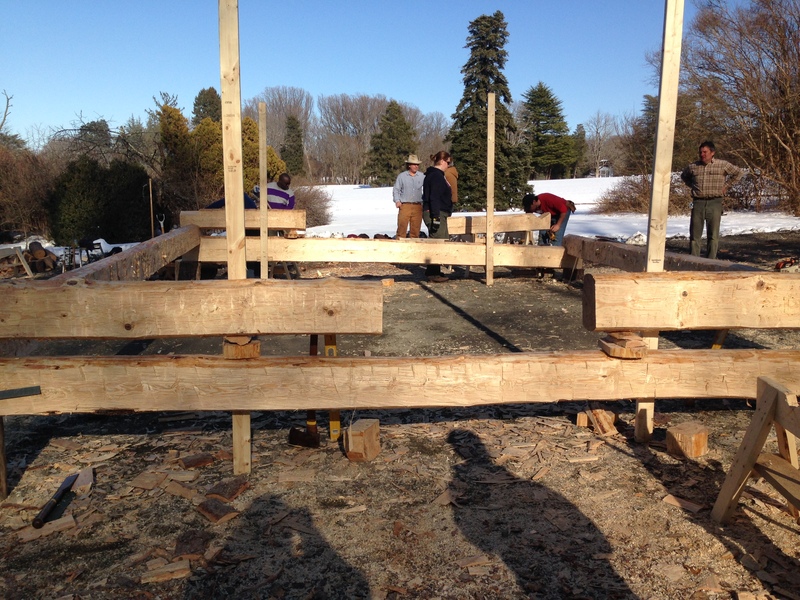 The reconstructed slave cabin at Montpelier is beginning to take shape. All of that chopping and scraping is paying off. We are finally in the “notching” process, where the logs are precisely fitted on top of each other. The cabin will be 16 by 20 feet with seven inch thick walls, openings for windows, a door, and I think, two chimneys. It will take at least 30 big logs to get this cabin built. There was light snowfall Monday night, making for a chilly Tuesday morning at work. But by noon, folks were peeling off jackets and hats. 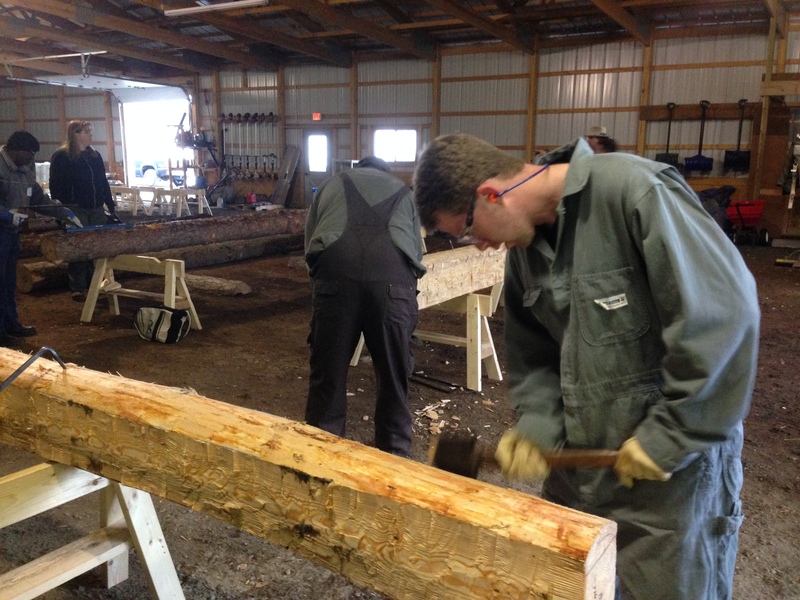 Our log cabin building workshop includes more than just re-building a slave cabin. We have also spent time touring the grounds and learning more about how James and Dolly Madison lived, especially during retirement. The Madison presidency ended in 1817. 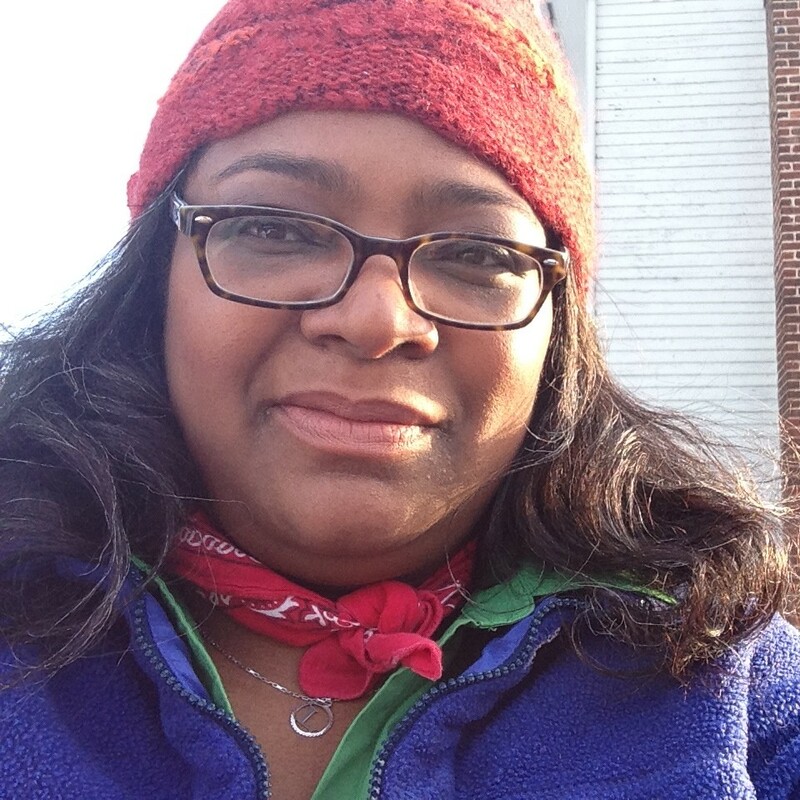 My group marched across gravel and stone walkways and through several inches of snow to the exact site where archaeologists believe the slave cabin we are constructing actually stood. 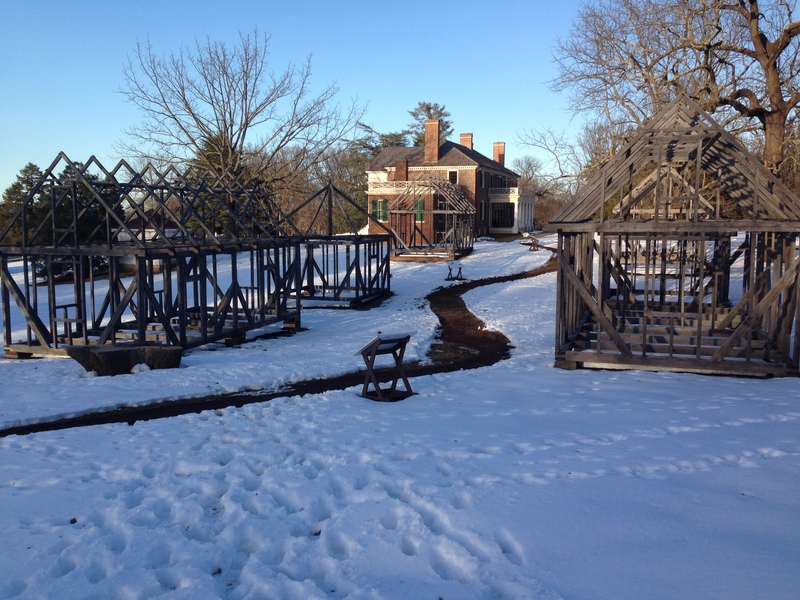 It was reportedly built in the 1790s, early 1800s. Terry often wandered away from the group, taking hundreds of pictures with his Cannon. He’s snapped more than 500 pictures so far. The professional photographer says he wants to remember every aspect of this trip, at every angle. The work is going fast! Your photographs suggest that the homes the slaves who toiled in the Madison’s residence lived in were located so that the human property was always within view. No “out of sight out of mind” for the Madisons. Must have made for some tight-lipped exchanges. Have you learned anything about George Gilmore, the Montpelier slave who later built a home across from the Madison estate? Really enjoying your blog, as I wanted to be there so badly to participate!